Our EA has been showing excellent results in real trading for a very long time. The backtest only proves the fact that the system really is stable, and has been working reliably and profitably since 2012 until this day. Thanks to that, we can count on maintaining such a positive tendency in the present and the future. 1. Forex robot FXMower can be trusted, because it is proved by the time and various tests. And most importantly, its successful work is confirmed by the results on our real accounts and the accounts of our clients. 2. Our EA allows to limit a drawdown as much as you would like to. By default, it is set exactly as on our live account. But you can change this value in the direction of greater profitability or reliability. 3. We provide our clients with a high-quality support, which in our opinion, in the financial sphere, is no less important than a qualitative software. We are always ready to answer your questions and solve all the issues that you face as soon as possible. 4. 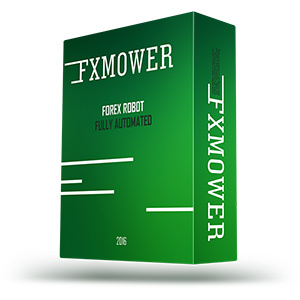 FXMower works on MetaTrader 4 platform and is compatible with any broker. It is very easy to install and set. After that, you will not need to do anything else, the EA will perform all the actions automatically. We believe in our product, that is why we provide 30 days money back guarantee. You will be able to get a refund if you use our recommended settings during the first 30-day period without interrupting the EA's work and get a drawdown more than 40%. Smaller drawdowns can happen, it's normal for a strategy, and they will be covered very quickly. If all the conditions are fulfilled, we will provide you a full refund and a copy of FXMower is going to remain with you as a compensation.